It is time to start planning for the Easter holiday. What is Easter without Easter baskets to decorate your home or fill with candy or gift cards for gift-giving. 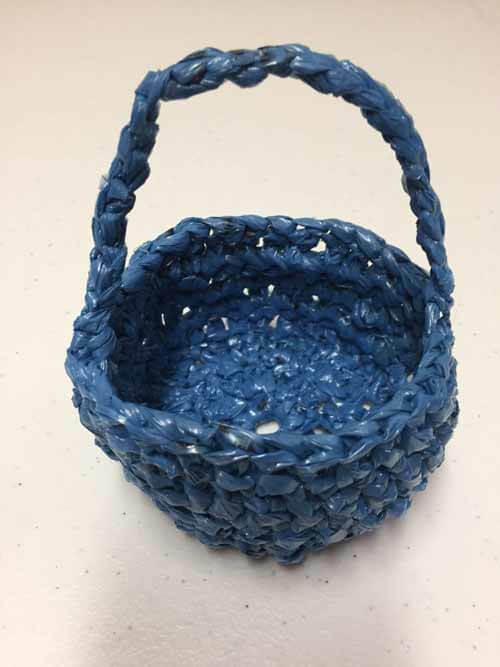 Make some cute, easy little crocheted baskets in a few hours with our free pattern. 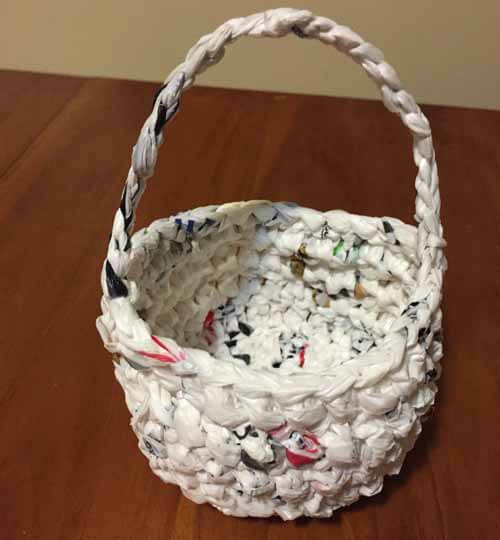 These baskets cost nothing to make because they are made by recycling plastic grocery bags into yarn which is known as plarn. 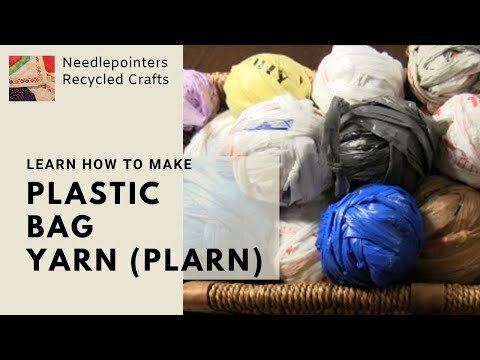 A video tutorial on how to make plastic bag yarn is after the pattern. 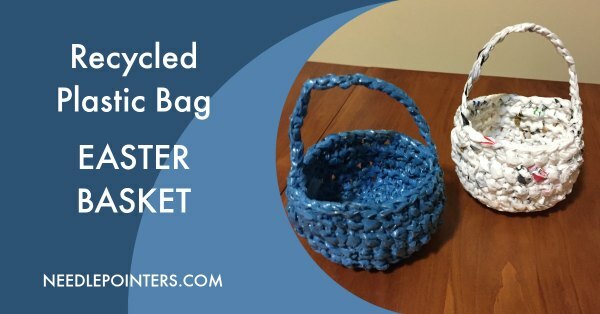 To learn how to crochet these Easter baskets from recycled plastic bags, watch this video and read on for the free pattern with step-by-step photo instructions. 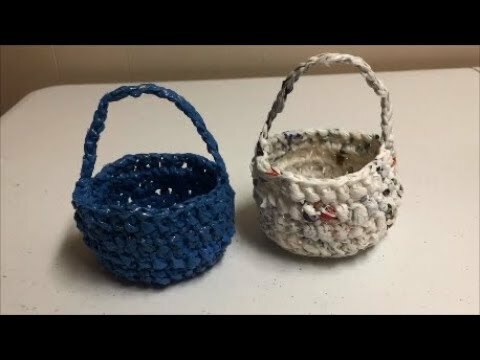 Click to watch the FREE Crocheted Easter Basket Pattern video in Youtube. 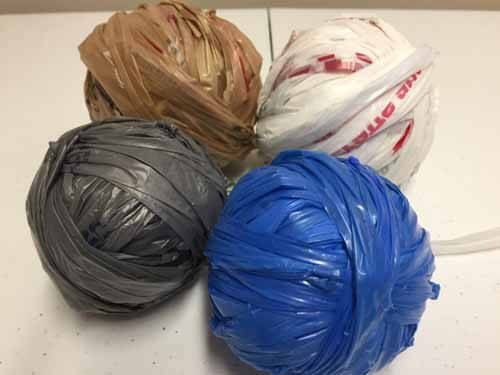 EXAMPLES OF PLASTIC BAG YARN If you would like to learn how to make plastic bag yarn, scroll down this article to after the free pattern for a video tutorial. 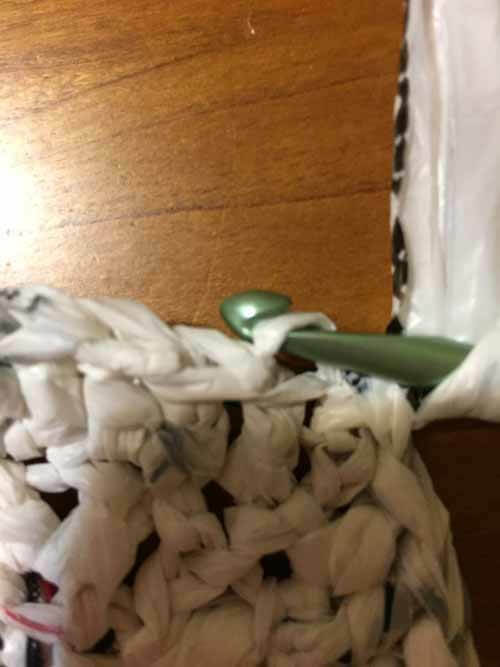 Need help with the crochet stitches? 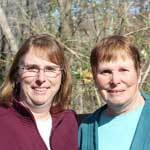 We have a How to Crochet Video Series with stitch instructions. Ch 4 and join with slip stitch to form a ring. Ch 1, 9 sc in ring, join with sl st in beg ch1. Ch3, 2 dc in first stitch, *1 dc in next sc, 2 dc in next*, repeat between * - * to end of round, join with sl st in top of ch3. Ch3, dc in same stitch, 2 dc in each dc to end of round, join with sl st in top of ch3. Ch3, dc in back loop of each stitch around entire basket, sl st in top of ch3. Ch3, dc in each dc to end of round, slip stitch in top of ch3. 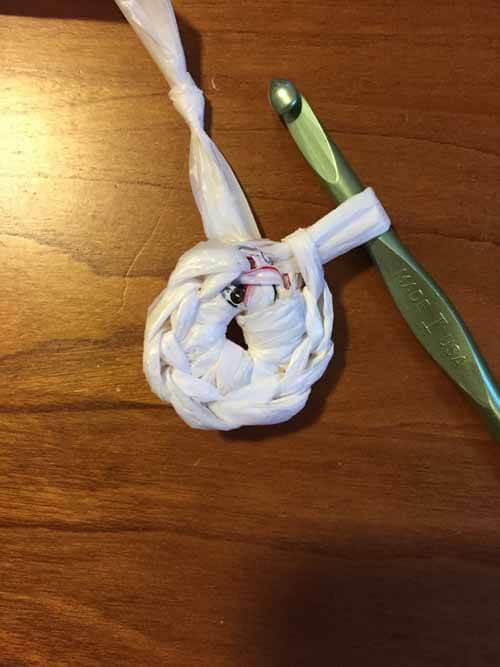 To make a sturdier handle, add another length of plastic bag yarn. 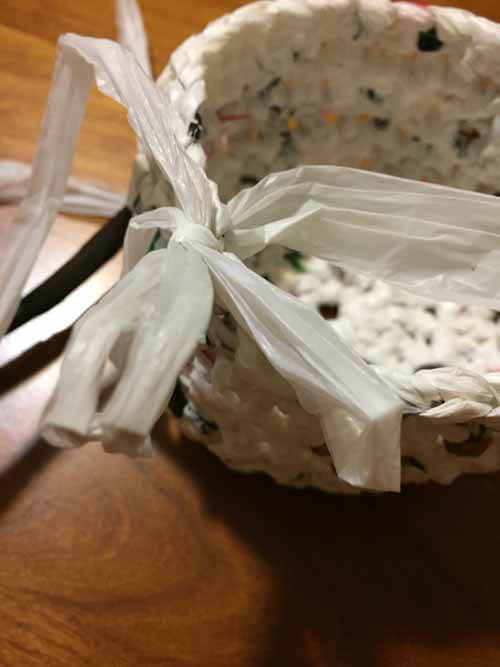 Chain 22 stitches and attach handle to opposite side of basket. 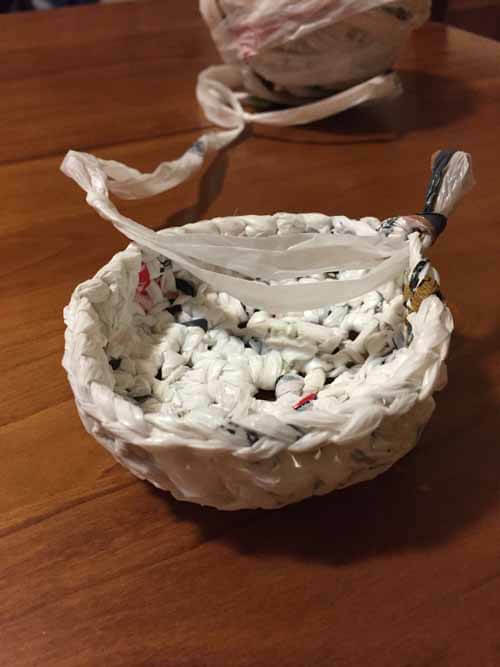 The basket is finished. 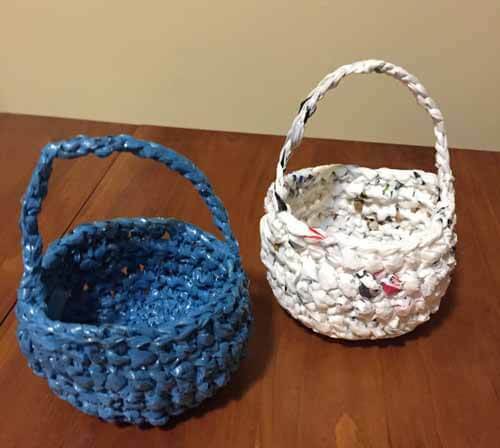 Aren't these baskets adorable? 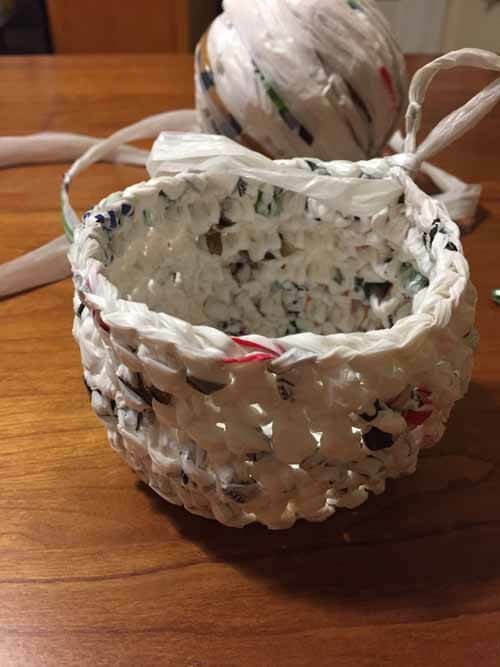 Fill them with candy for gift-giving or use as Easter decoration around the house. 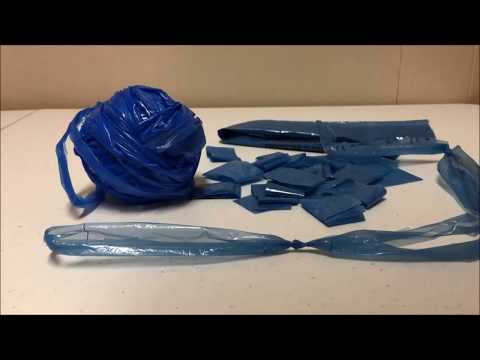 Plastic Bag Yarn - This tutorial will show how to make plastic bag yarn using plastic shopping bags. 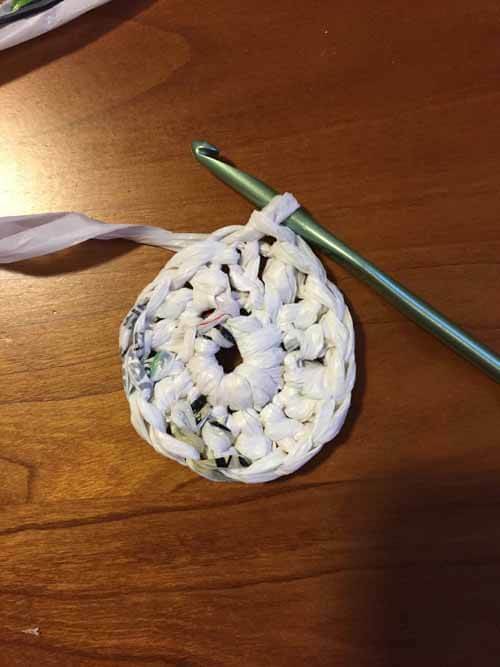 Plastic Bag Yarn - This tutorial will show how to make plastic bag yarn using newspaper bag sleeves. 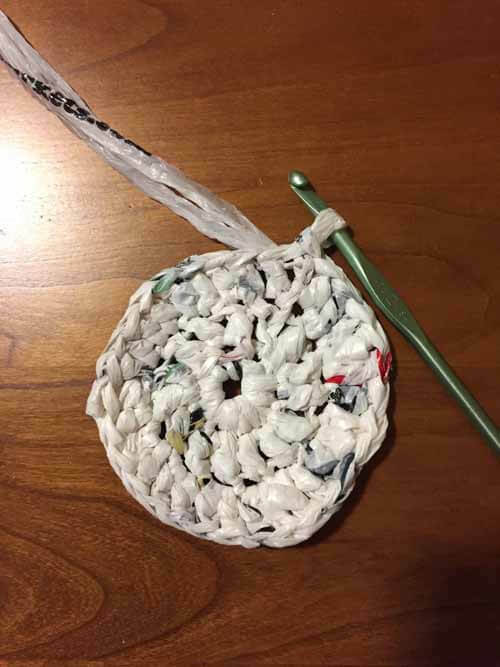 Below are some affiliate links to books and patterns using plastic bag yarn as the knitting and crocheting yarn.